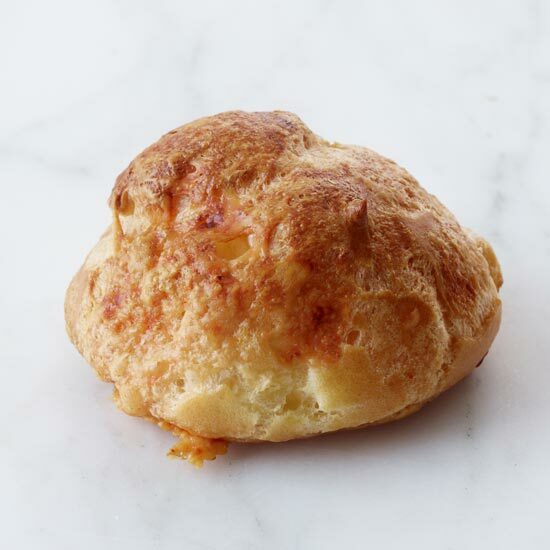 Airy cream-puff dough, a.k.a. 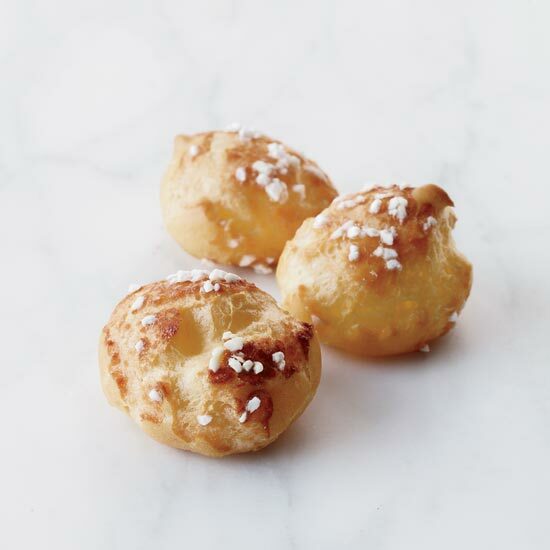 pâte à choux, is the base for gougères, éclairs and many other exquisite treats. 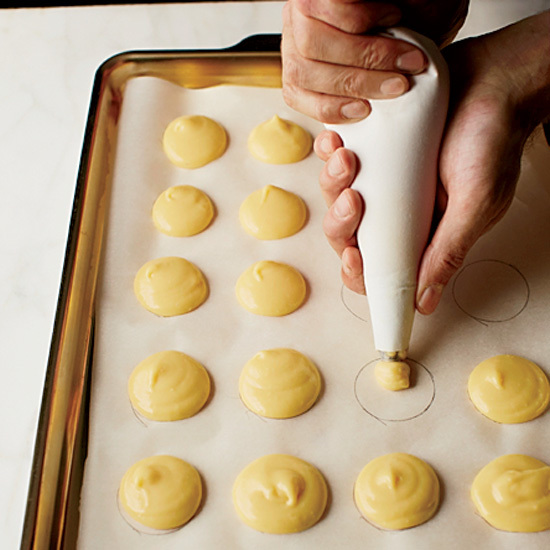 Here, a step-by-step tutorial in mastering the classic from baker Eric Kayser. 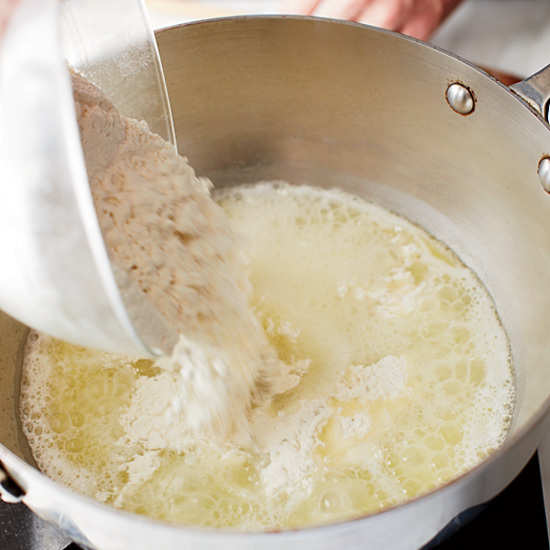 Bring the water, cubed butter, sugar and salt to a boil in a saucepan, then add the flour all at once. 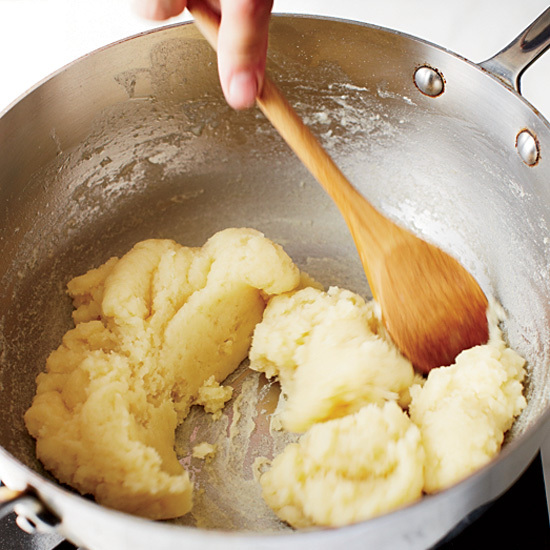 Cook and dry the mixture, stirring briskly, until a tight dough forms and pulls away from the pan. 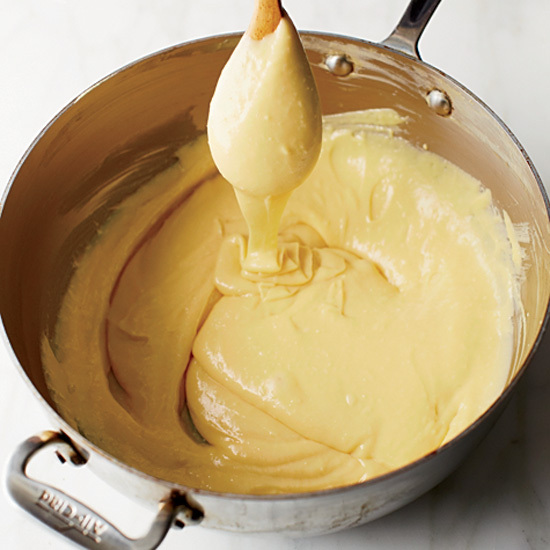 Working in batches, add the beaten eggs to the dough, stirring vigorously between additions. Use a pastry bag to pipe mounds of dough onto parchment-lined baking sheets, leaving 1 inch between them. Generously sprinkle each mound with 1/2 teaspoon of pearl sugar. Bake the chouquettes for about 30 minutes, until browned and puffed, shifting the sheets from top to bottom and front to back halfway through. Sprinkle the mounds with about 1 cup of shredded Gruyère cheese. Bake the gougères about 30 minutes, until browned and puffed, shifting the sheets from top to bottom and front to back halfway through. Serve. Spray the mounds with nonstick cooking spray. Bake the choux for about 35 minutes, until browned and puffed, shifting the sheets from top to bottom and front to back halfway through. Let cool completely. Using a serrated knife, slice off the tops and reserve. 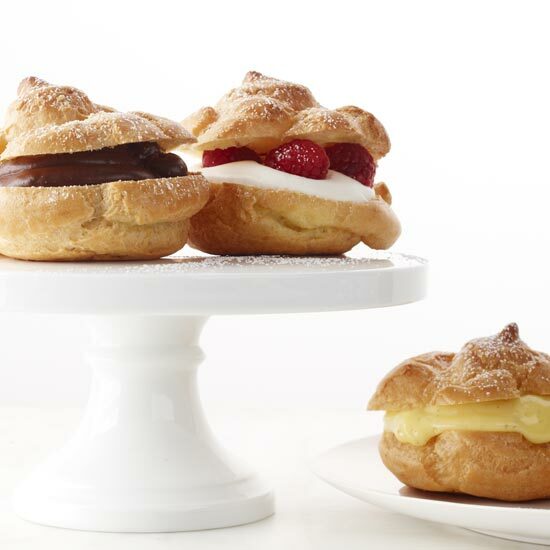 Fill the bottom halves with sweetened whipped cream and fresh raspberries, or Chocolate Pastry Cream. Replace the tops, dust with confectioners’ sugar and serve.